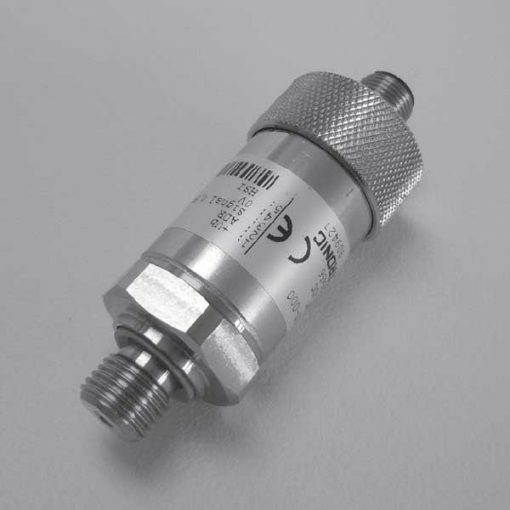 The HYDAC pressure transmitter HDA 4748-H is a pressure transmitter with HSI sensor recognition. It serves for use in conjunction with HYDAC measuring instruments HMG 500, HMG 510, HMG 3000 and CMU 1000. Plus, for data transmission, the HDA 4748-H has an HSI interface (HYDAC Sensor Interface). What’s more, it is possible to recognise the HSI sensors via the HSI interface by the above-mentioned HYDAC measuring instruments. Also, each sensor takes all the necessary basic settings. Furthermore, the HDA 4748-H also has a very accurate and robust sensor cell. Indeed, this sensor cell has a thin film strain gauge on a stainless steel membrane. Therefore, it combines excellent technical specifications with a very compact design. Accuracy ≤ ± 0.25 % FS typ.